Straight Talk Podcast with Dr. Maher Hathout Conversations with Dr. Maher Hathout on relevant, inclusive, practical Islamic thought. Who is Dr. Maher Hathout? In this episode, Dr. Maher Hathout is joined by professor and writer Dr. Sohail Daulatzai as they continue their conversation, inspired by the 20th anniversary of the LA uprising, by discussing the enduring power of race in our lives today. 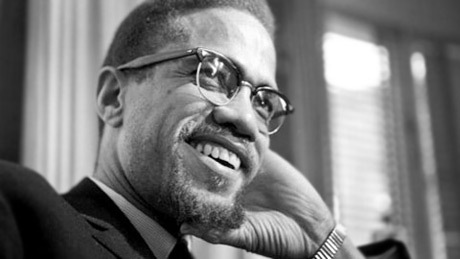 Using Malcolm X as a starting point, the two talk about the importance for Muslims to better understand racial inequality as a way of challenging social justice. Click the “Play” button below to listen to this episode. Sohail Daulatzai teaches in the Department of Film and Media Studies and the Program in African American Studies at UC Irvine. He is the co-editor (with Michael Eric Dyson) of “Born To Use Mics: Reading Nas’s Illmatic“, and is the author of the forthcoming book “Black Star, Crescent Moon: The Muslim International and Black Freedom beyond America“. Unfortunately Muslims have to deal with our own racism and arrogance. When Saudia Arabia can create an apartheid like society where Saudi Arab are the white Dutch and other Arabs and Bengali’s and Malays etc are the colored or blacks of the Kingdom. If there is corruption in the most holy of holies of our Ummah, we must condemn that with the strongest language. © 2019 Straight Talk Podcast with Dr. Maher Hathout. All Rights Reserved. Share your feedback & submit topics you'd like discussed.